With backgrounds in teaching and ministry, creating personal relationships is at the core of what we do. You wouldn’t consider building your dream home without first having a detailed blueprint – a plan. We believe it is equally important to create a comprehensive retirement plan before you start investing your money or buying financial products. We call our financial blueprint, the LifePlan MapTM. Your LifePlan Map will address the five core areas of planning that we focus on: creating income, growing investments, minimizing tax and financial risk, cost-effective healthcare solutions, and passing on your legacy efficiently. 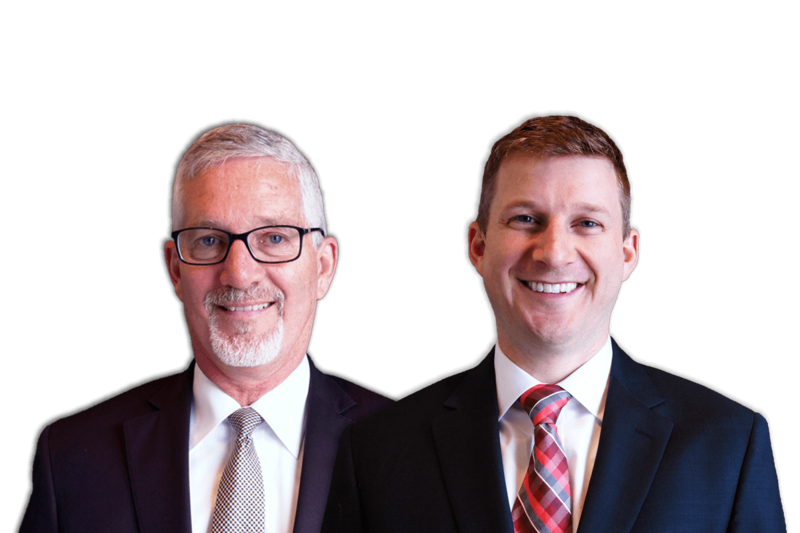 Our advisors, Ken and Alex, are investment advisors and insurance licensed enabling them to build and implement financial plans appropriate to each client’s needs and risk tolerance. LifePlan Group owned and operated a tax practice for five years, and continues to incorporate tax strategies for each client. We partner closely with local estate attorneys and CPA’s and utilize selective institutional investment platforms to provide cost-effective solutions and service to our clients. Using our proprietary interactive planning software, clients can ask “what if” questions and visually see the financial impact of various decisions they face. Imagine “seeing” the pros and cons of when you might start your social security benefits, or which pension option is best for you. This personalized planning process culminates in the presentation of your unique, leather-bound LifePlan Map, featuring a year by year road map for your retirement. Successful individuals and families that are retired or within 10 years of retirement. Understands goal attainment requires careful planning: they want to be proactive, intentional, and focused on what is most important to them. They value establishing specific plans to achieve their most meaningful aspirations. Appreciates Life: they understand there's more to life than "rate of return." "Quality of life," "freedom," and "peace of mind" are important phrases when thinking about what they most want their money to do for them. Enjoys a holistic, comprehensive approach: they want the benefit of having an advisor who knows their complete financial situation, a "go to resource," their own personal CFO. Prefers a team approach: they recognize the value of partnering with experts in the respective professions of Finance, Estate and Tax preferring to delegate responsibilities that take away from the truly important areas of their life. Appreciates the value of a genuine client experience: they consider professional fees as an investment in their own success and appreciate transparency and thorough discussions of fees and services to be received. Is looking for a partner for life: they want a long term personal relationship with an advisor, someone who knows and understands them, and who will be there for them over the years as issues arise and life circumstances change. Our team is here to help. Alex and Ken each serve as the advisors to our clients. Allison, Jenny, and Kim provide client service and support. Get to know us below! We care deeply about the well-being of our clients. We know it is the small things that often make the biggest difference in someone's life. We are active listeners - constantly learning about what matters most to our clients. Their passions, their desires, their struggles, their successes and their concerns. Each team member is empowered to go out of their way to find personalized ways to acknowledge, thank, and tell our clients that we care about them. While LifePlan uses insurance and investment products to solve financial needs, the biggest impact we have, is helping our clients improve their lives. We know at the end of the day - our core value - is that people pursing their passions is what makes this world a better place. And if we can have a small part in that for our clients - it is a good day.